For some reason, when you put a Veteran together with a dog that was saved from a kill shelter, and or a horse saved from being “re-purposed”, amazing things happen for all of them. The unique life experience of a Veteran with PTSD seems to be able to help these animals in a way no other people can. As a result, mutual healing takes place and it’s stunning to witness. Veterans Banker Concierge Services is honored to introduce you to H4HUS.org. Hearts 4 Heroes Corp. “H4HUS” is a 501(c)(3) organization providing equine-assisted and canine-assisted therapy to U.S. veterans and active duty service individuals suffering from physical and psychological impairments, including Post Traumatic Stress Disorder (PTSD). H4HUS offers support to veterans nationwide FREE of charge. 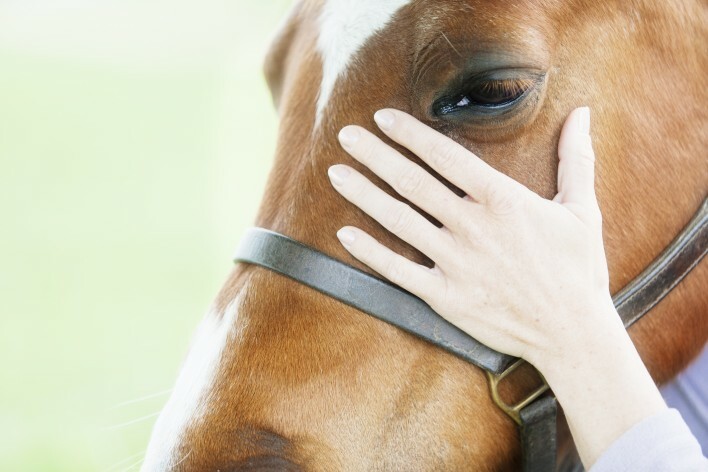 Organizational programs are designed to incorporate equine and canine therapy in connection with services of licensed social workers and mental health care practitioners. H4HUS targets its services to veterans who have completed service or cannot return to service due to medical reasons. In addition, active service members, between tours, qualify for program support. The equine and canine assisted programs set goals for the veteran to learn a specific tasks, solve problems, build teams and relationships, and increase confidence and self-esteem. These programs include handling horses and canines on the ground, grooming school, equine assisted riding, therapeutic driving, and combined driving (team driving). H4HUS programs, and its volunteers, use the Equine Assisted Growth and Learning Association (EAGALA) models of Equine Assisted Psychotherapy (EAP) and Equine Assisted Learning (EAL). Using this model ensures training is established for non-verbal communication, problem solving, taking responsibility, relationship building and teamwork. All H4HUS programs include a mental health clinician to insure an emotionally safe environment is in place for veterans to express themselves or not depending on individual desire. H4HUS works with both the Therapeutic Equestrian Center “TEC” facility in Cold Spring, New York and Gossamer Pond Farm in Cameron, North Carolina offering equine assisted programs for veterans. TEC is an established 501(c)(3) organization that has a suitable facility, trained therapy horses and network of certified volunteers.